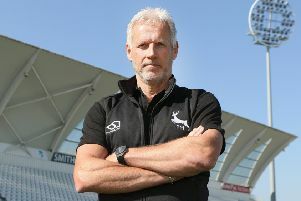 Nottinghamshire CCC director of cricket Mick Newell praised the batting of Alex Hales after his sides draw with Yorkshire. Notts batted throughout the final day to extend their lead before both captains agreed to call it a draw. Said Newell: “It ebbed and flowed throughout.